Suffrage Wagon Quarterly Newsletter coming soon. Are you ready to follow the Spirit of 1776? on Vimeo. 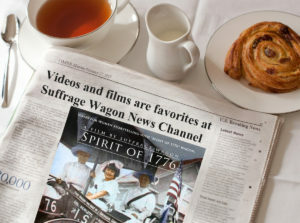 Suffrage Wagon News Channel for news & views on Vimeo! Suffrage Wagon News Channel has more videos on Vimeo. Visit us. 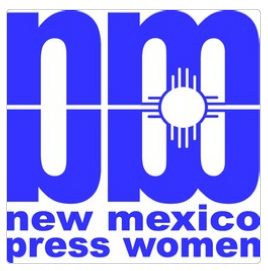 Video about Women’s Voting Rights—Marguerite Kearns on Vimeo. We produce videos about the suffrage movement in the tradition of guerilla filmmaking: low budget, use of existing public domain and shared resources, and a spirit that moves us out into the world by the seat of our pants. What’s that spirit? The “Spirit of 1776” naturally. LetsRockTheCradle.com is a public service providing information about the upcoming 2020 votes for women centennial in the US. Suffrage Wagon News Channel has a YouTube channel, with not as many videos as Vimeo.com, but a representative sampling. I love these videos! Great music, great film editing, and a major insight about women smoking! You’re talent and skills are a blessing for women and men who appreciate the value of equality. You have done a lot of work with these videos. Makes it easy to understand. What a collection of videos. So much love!